Singapore Airlines (SIA) will begin flights to Dusseldorf from July 2016, giving Australians a new one-stop option to Germany. Dusseldorf will be served with SIA’s new Airbus A350-900s featuring business, premium economy and economy three times a week as red-eye from Singapore and afternoon departure from Germany. SIA also flies to Munich and Frankfurt from its Singapore hub. It also operates from Frankfurt to New York (JFK) and between Munich and Manchester. “Flights to Düsseldorf will complement our existing services to Europe, and be served by all-new Airbus A350-900s fitted with Singapore Airlines’ latest cabin products,” SIA senior vice president for marketing planning Lee Wen Fen said in a statement on Tuesday. SIA will be the only airline offering nonstop flights between Singapore and Dusseldorf, which is located in the German state of North Rhine-Westphalia, the most populous of the 16 federal states in the country, and is considered a manufacturing hub and financial centre. 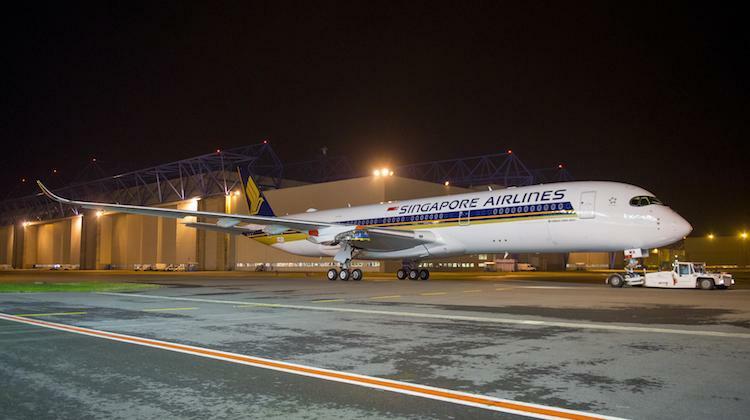 The first A350-900 in SIA colours is due to arrive in February 2016, with Amsterdam confirmed as the first long-haul route after being used on short-haul services to Kuala Lumpur and Jakarta. SIA flies to Adelaide, Brisbane, Melbourne, Perth and Sydney from Singapore, while its full-service regional wing Silkair serves Cairns and Darwin. Other one-stop options for Australians headed to Dusseldorf currently include Air China (via Beijing Capital), Cathay Pacific (via Hong Kong), Emirates (via Dubai), Etihad (via Abu Dhabi).